National security is a complex domain encompassing matters ranging from the challenges of homeland security management, to designing coping strategies for a wide variety of traditional and non-traditional threats. National security, especially in a rapidly changing and complex environment, remains a key concern for countries worldwide. 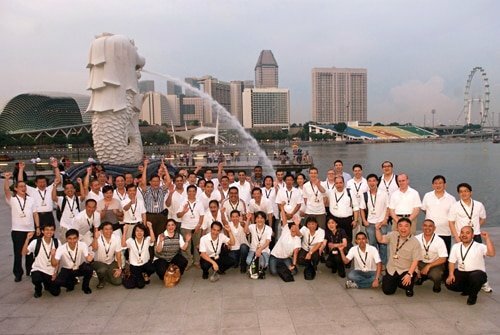 The Perspectivity National Security Game, developed in 2012, was played during the Asia-Pacific Programme for Senior National Security Officers (APPSNO) that took place early May in Singapore. The game proved to be a great asset in the programme in lign with APPSNO’s aim of promoting a multi-agency and networked government approach in response to today’s complex and uncertain security milieu.